Even though bedrooms may not provide a space for holiday dinners like dining rooms, nor serve as a favorite gathering area for guests like kitchens, they deserve equal design attention. In fact, bedrooms may be the most deserving of thoughtful design, because they are arguably the space that is the most “just for you.” Treat your eyes to this collection of stunning sleeping spaces, and get some bedroom design ideas for your own. Helllooooo storage! This bedroom makes it easy to have a place for everything, and keep everything in its place. It’s perfect for stylish adults, and nullifies teens’ excuses for messy rooms. The natural wood and muted colors provide a beautiful, bright, and subdued feel to the space. With a closet and plenty of cubby spaces, this is an ideal setup for a room without a built-in closet. The mural in this space is definitely the scene stealer, but there are plenty of good things going on with this bedroom. Wood is used in a number of striking ways, from the floors and the nightstands to the slats that serve as a canvas for the eye-catching mural. The muted color scheme provides a relaxing, stylish atmosphere, and the boxes under the bed add extra storage, while remaining discreet. These patterned floors in a light wood add warmth and a surprising focal point to this space. Simplicity is on display with this bedroom, with the floor-to-ceiling wardrobe doors and nearly unnoticeable lighting. The mosaic dresser adds a surprising juxtaposition to this pared-down bedroom. Subtlety goes out the window with this unique and energetic space. By starting with a white bed, linens, and headboard, along with the neutral rug, this space can get away with bright pops of color without seeming overbearing. 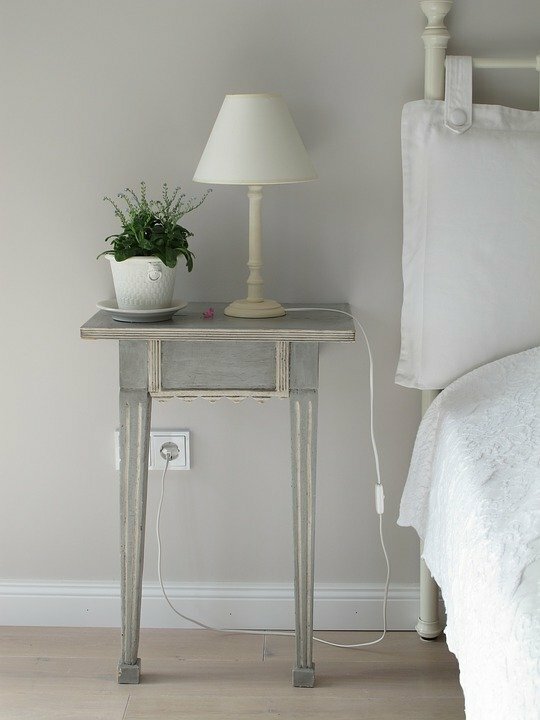 The unique shapes in the room – seen in the headboard and bed tables, for example – make fun focal points. 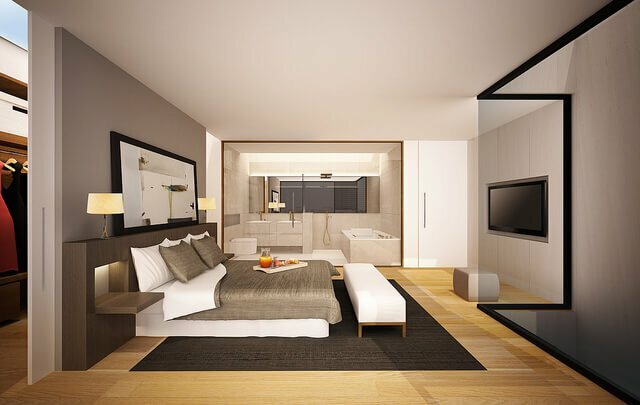 This bedroom takes the ideas of clean and simple to a new level. With plenty of subdued storage (seen around and under the television), there’s no reason for clutter. The window seat in this serene space is perfect for curling up with a good book, and enjoying this relaxing oasis. 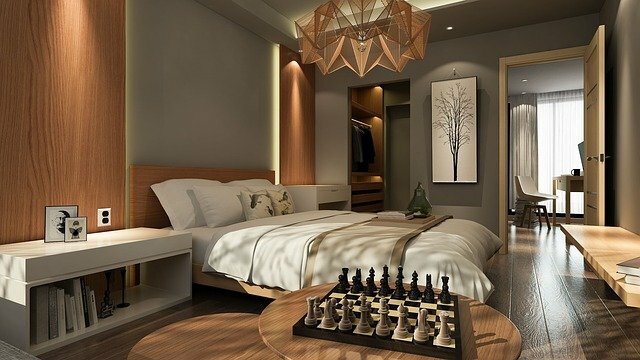 Zen, clean, modern, perfect sleeping environment!